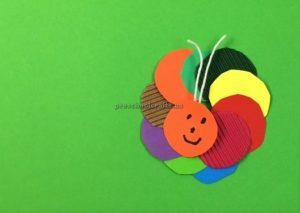 This page has a sample of frog craft that can be done at home or at school. 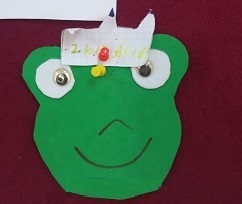 To make easy frog craft we need a eva paper, A4 paper, scissor, pencil and moving eyes. 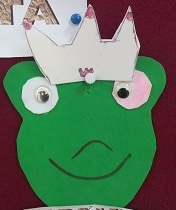 First cut the eva paper in the a frog. 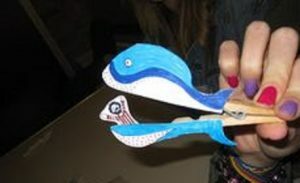 Then cut the eyes from A4 paper. After that draw the frog face. 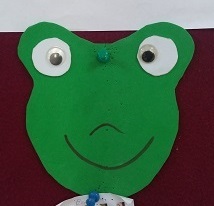 At the end glue the frog’s eyes. All documents on our site is free. 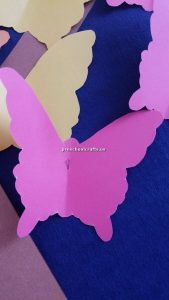 From the menu above, you have free access to activities, coloring pages, bulletin boards ideas, crafts and worksheets.